Akashya is 13 years old female child with Acute Lymphoblastic Leukemia; comes from a very poor economically background and uneducated family. Her father works as a sales man in RMKV a monthly income of Rs.8000/- and he is the only earning person in his family. Her mother is a house wife. Akashya has one elder brother. Presently, she is accompanied by her parents for her treatment. This is Haritha, a fellow based at Chennai. 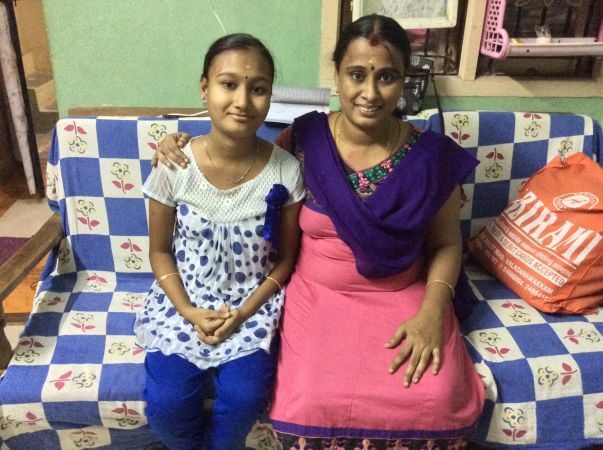 I recently got a chance to speak with Akshaya’s doctor and we have good news to share with you. “I met Akshaya even yesterday during her chemo sessions and she has been showing good progress,” says Dr.Aarthi Srinivasan. 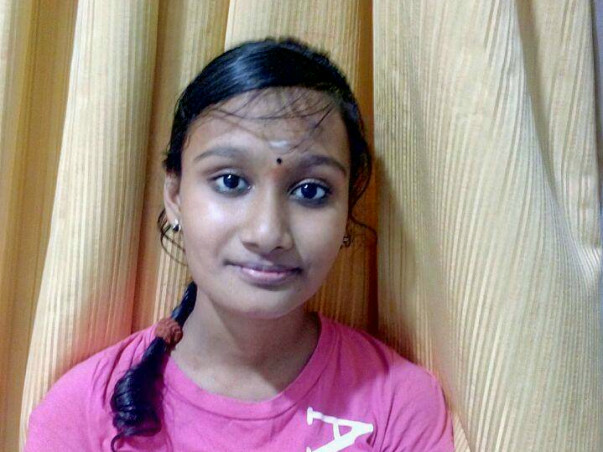 Akshaya is currently undertaking chemotherapy and has been visiting the hospital regularly for checkups. Your support is helping Akshaya and her family fight past these difficult times. I am Uthra Nagarajan, a Milaap Fellow. 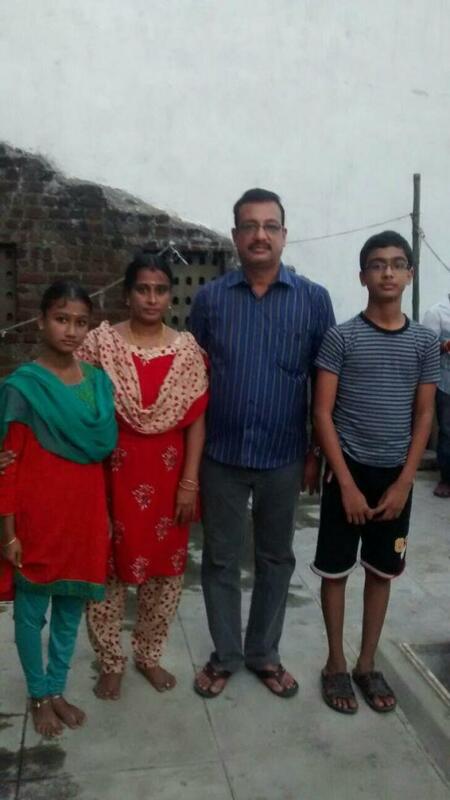 I met Akshaya and her mother at their residence in Virugambakkam on the evening of October 21. They had just returned from the hospital for Akshaya’s general check-up. Akshaya was supposed to get admitted for her chemo session that Friday but her blood sugar levels were high and the treatment was postponed to Monday. She takes insulin injections to stabilise her sugar level. 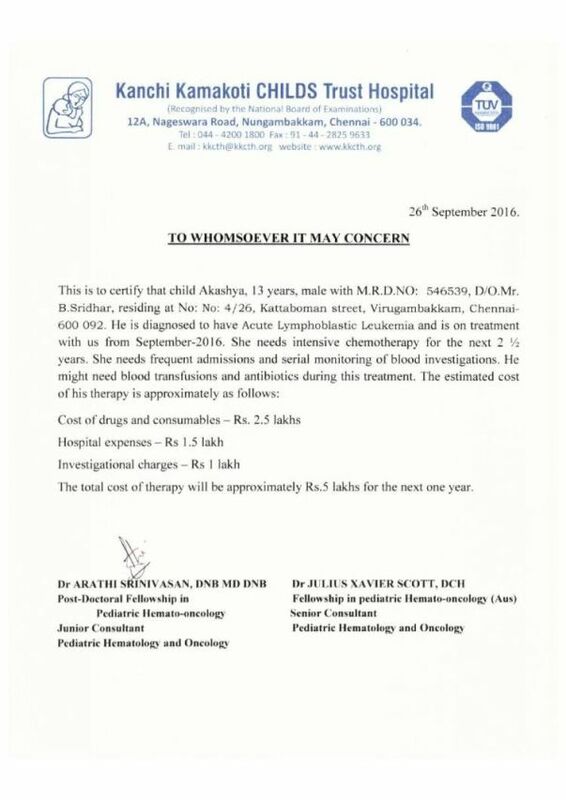 “The raised blood sugar level is a side effect of the chemotherapy treatment,” said Gayathri, Akshaya’s mother. Akshaya’s chemo sessions are scheduled twice a week - on Tuesdays and Fridays. 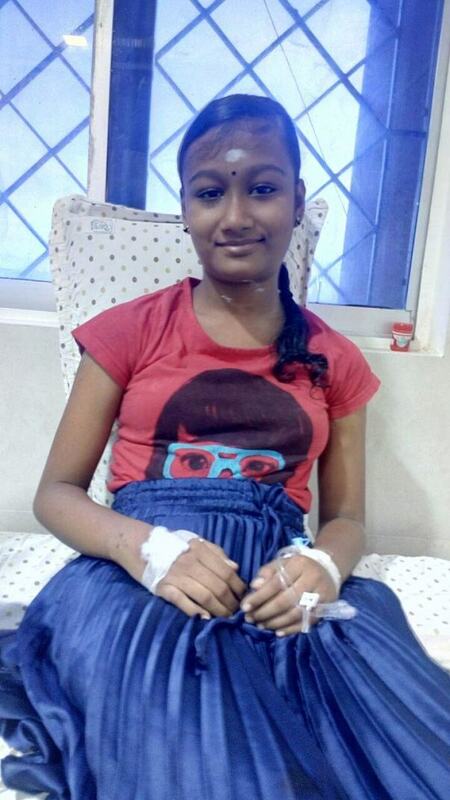 Akshaya and her family are very grateful to all the supporters who have come forward to contribute and support Akshaya to undergo her chemo sessions on time.